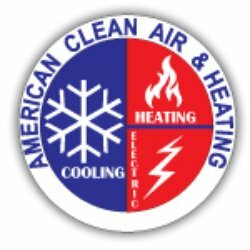 Is Your Central AC Ready for Winter? The winter months have arrived and across the United States people are already beginning to feel some of the snow, wind and cold that the weather patterns can bring. Even if you live in a warmer area that may not see any of the snow and frigid cold, you still want to be sure that your home is properly prepared for the cooler weather that will be upon you. You may not be using your central air conditioning at all during this time of year, giving it a much-needed rest from the regular use it gets in the warmer months, but you still want to make sure you take care of it during the winter. It is important to ask yourself – is your central AC ready for winter? Even if you do not see temperatures below freezing during the winter, it is still important to protect your system properly during the winter. The temperatures can still reach freezing or below, causing a moisture build-up in your components. With the cold weather overnight and then warming during the day happening regularly during the winter, you get regular freezing and thawing cycles that can potentially cause damage to the components. You want to do all you can to prevent any type of damage like this from occurring. during the cold. You should also consider getting some type of cover for your unit to protect it from the cold and any potential falling debris. Your best bet is to turn to the help of a certified central air technician to provide you with a winterizing service for your system. An experienced service can come right to you and perform the regular maintenance that is needed to safely and properly prepare your AC system for the winter months. They can also assist you with getting a proper cover for your system for the winter that provides the right level of protection while still allowing air to circulate so that moisture does not develop on components, preserving your system for as soon as the weather gets warmer.